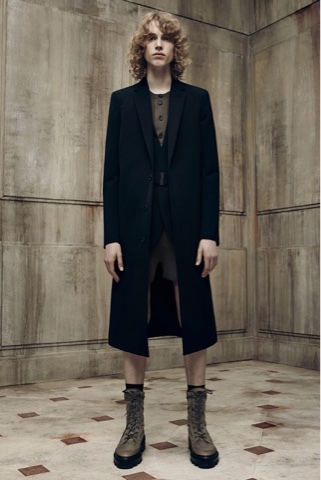 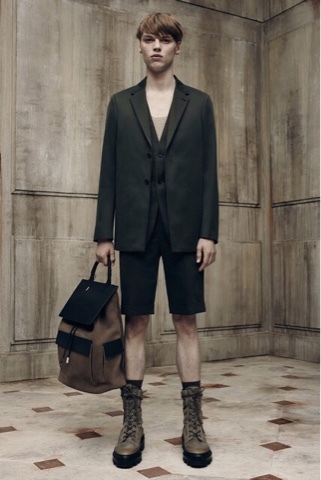 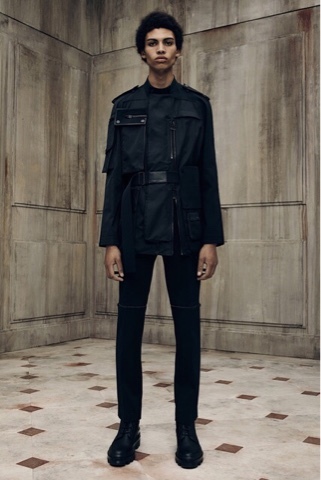 This season Balenciaga went with more of a minimal military style mixed with dressy blazers and shorts. 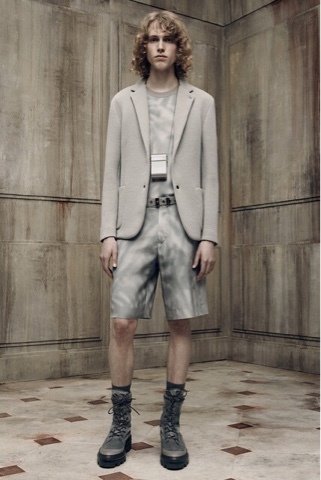 I really like the styling of the models and would definitely wear the outfits as they are. 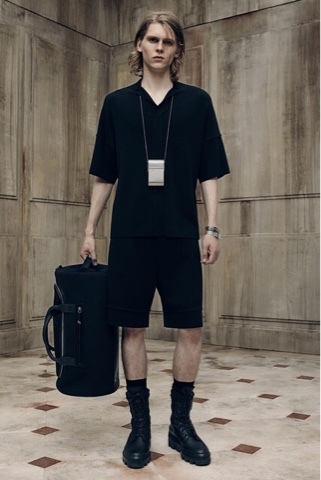 It sort of reminded me of the collection givenchy did a few seasons ago with the blazers, shorts and long necklace. 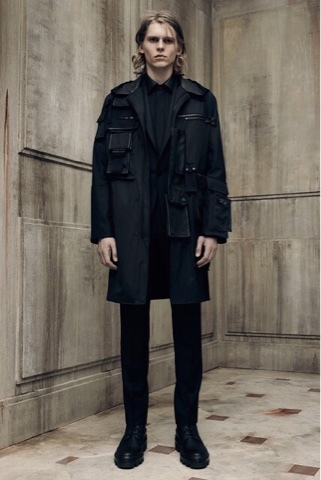 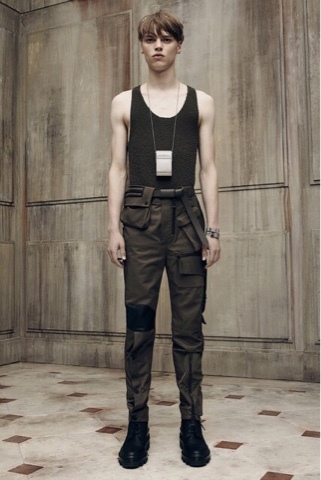 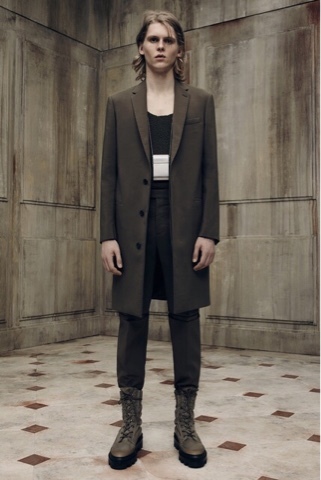 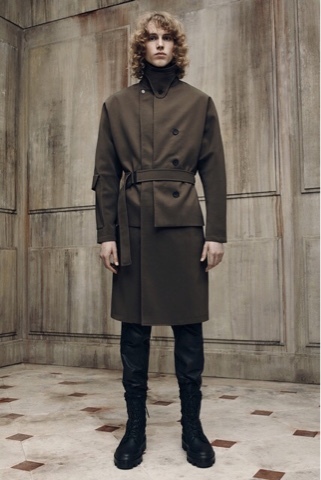 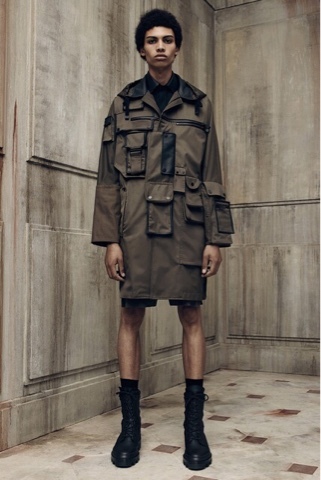 Using no prints at all Balenciaga kept it monochomatic using only black, khaki, and military green. 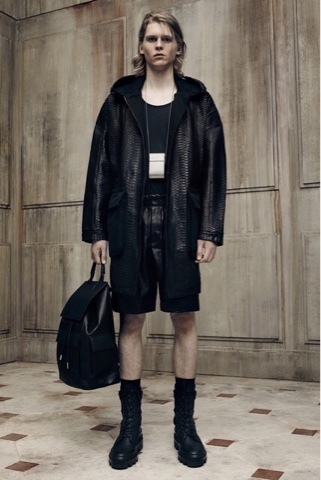 A few of my favorite pieces are the utility coat with all the pockets, the leather backpack, and the black croc embossed leather coat.